The Fox Run Lettuce Knife is specially designed to cut greens cleanly with its evenly serrated blade. Keep your greens greener longer with this bright, handy knife! I'm glad that I purchased this knife. Works perfectly. I bought it to use on baked goods as well and its great for cutting and serving cakes and the like. 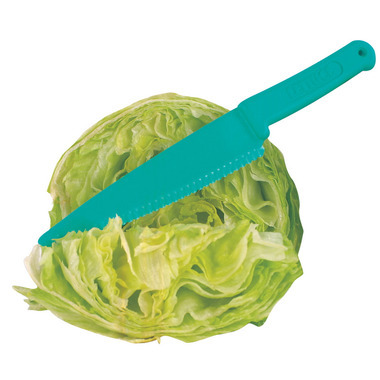 This lettuce knife works like a charm. It is so nice not to have the edges of the lettuce rusted. It is much more appetizing this way. Glad I bought it.